Coat the fish in the flour, then the combined egg and KNORR Concentrated Liquid Stock, then corn meal. Deep fry until cooked through and golden. 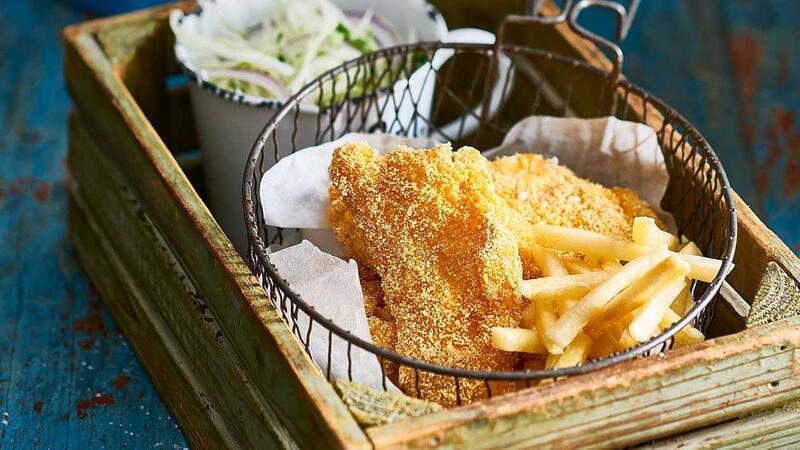 Serve fish with french fries and a ranch slaw salad.